This question is public and is used in 1 group and 225 tests or worksheets. 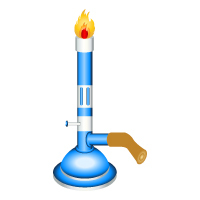 Emilie holds the end of a metal rod in the flame of a Bunsen burner. After a couple of minutes the rod becomes too hot for Emilie to hold. Which of the following caused the heating of the rod?